Washington (CNN) – As Sarah Palin continues to ponder a possible bid for the Republican presidential nomination, she is embarking this weekend on a major overseas trip visiting two key U.S. allies. Her first stop is New Delhi, India where she is the keynote speaker at a dinner of a major conference, the India Today Conclave. Her paid speech to the forum, sponsored by an Indian communications company, comes Saturday night. Palin is quoted in Friday's India Today newspaper as saying she is "very excited to visit India. Americans have a great respect for the world's largest democracy." "India and the United States are partners in trade and business affairs, and working together our two nations can build a more peaceful and prosperous world," she is quoted in the publication telling the organizers of the event. After India she heads to Israel where she will meet with Prime Minister Benjamin Netanyahu on Monday. Her brief visit, scheduled just to last two days, is also expected to include meetings with other Israeli politicians as well as stops at some landmarks, according to the Jerusalem Post. In a message posted on her political action committee's website, she said "As the world confronts sweeping changes and new realities, I look forward to meeting with Prime Minister Netanyahu to discuss the key issues facing his country, our ally Israel." Several other prospective GOP candidates - Mitt Romney, Haley Barbour and Mike Huckabee - recently visited Israel. "She has to be able to say in case she hops in she went through the motions like the other guys," GOP consultant Ford O'Connell, who worked on the McCain-Palin campaign in 2008, told CNN. 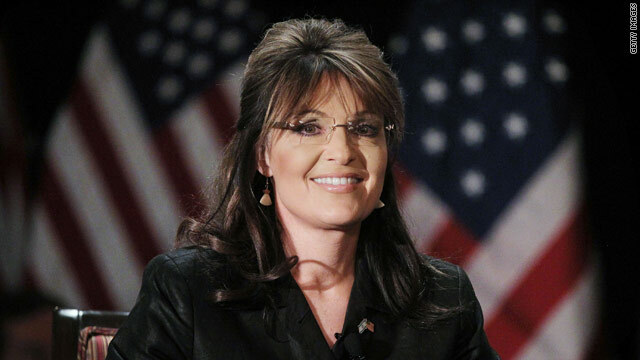 Palin's foreign trip is expected to help her bolster her foreign policy credentials. O'Connell said that issue is probably Palin's weakest. He pointed out with the recent events in Japan, Libya and Egypt international are back in the forefront. "Foreign policy is moving up the ladder. If you want to be president you have to have a good understanding of the global economy in the 21st century" as well as these issues, he said. Such a trip, as the one she is undertaking, is a must for someone considering a run, he said. "If she doesn't do it, it will hurt her," he said. As she has for the past months, Palin continues to say she is "contemplating" a presidential run last week telling Fox News, where she is employed as a political analyst, "It's obviously, a huge life-changing decision to be made. But there are some extremely, extremely difficult situations that our country is facing today. "And unless I have the confidence that we have a GOP candidate who is out there willing to tackle these issues, regardless of what perhaps some special interests or ties they may have had in the past to these special interests...unless I'm confident there is a GOP candidate who can tackle these things and provide solutions, then, yes, seriously, I will continue to think about it." Asked if she could wait longer than some other prospective candidates to see who her competitors might be, she said in the interview "I've never waited for anybody else to line-up and then I jump in at the end. In fact, in my races over the last 20 years, I've usually been the first to jump in. But in this case, because it is so monumental and so affecting on a family, I probably would wait to see who is willing to put their name forward in the hat in terms of serving this country." The former Alaska governor enjoys large support among Republican voters and her speeches draw large crowds, but her disapproval numbers among GOP voters continue to rise. There is mixed opinion among many unaligned Republican consultants on whether she will end up actually launching a bid for the nomination. She visited the key early voting states of Iowa and South Carolina last year during her book tour and recently hired a political veteran as chief of staff for her political action committee. She is not known however to have taken any other concrete steps that might indicate a possible campaign, such as trying to recruit key activists and consultants in those crucial states as others are actively doing. She has also declined invitations to address some political gatherings. Don't worry libertards if Palin fades from the picture there will be other strong conservative women for you to degrade and demean. In fact you and CNN and the rest of the liberal media have already started. Democrat liberals are racist and anti feminist. Palin's an idiot, she won't be able to connect the dots when she's there are when she leaves. Water seeks it's own level that's why she married to Todd, he's uneducated too. I wonder,just how many insults this women can take,before she has enough money in her checking acc.?? I have tried to figure out for 2 yrs now,doesn,t she have any pride in herself! Is money that important to have the world"Know She,s A Moron" Come on Katie,'Please ask her another simple question,so there is no doubt? Pleeaasee??? ?/ Make her go away. Sarah, it does not matter if you run or not. The Kochs and other billionaires, along with foreign corporations have decided that Mittens will run. Too bad, because you would have been a laugh riot. Geez, did she demand they give her bendy-straws? What could she possibly have to say to anyone in India, except that she will continue to send them jobs that belong here if elected? as a gay hispanic, i have never been treated by repubs as ugly as i have been by dems who knw i believe in conservative principles. i grew up a dem, surrounded by closed minds and people unwilling to ever answer WHY? they just smear people and never explain why they deserve the fruits of other peoples labor. i do love when dems use religion though, as if the BIG GUY ever opened an abortion clinic. now bring on the Israel haters. ROCK ON PALINATOR \m/ NEVER SIT DOWN, NEVER SHUT UP, NEVER SURRENDER! She will stop in India so that she can get an idea of what America will look like when the Republicans get through with it. She will also promise them all jobs. When she visits Israel, she wants to take Prime Minister Benjamin Netanyahu some "Alaska style" baby back ribs, to get on his good side! Sarah will also add to her international expertise when she visits Naples (FL) next week. I don't think she will be able to see Cuba though. Sarah will address those Floridians who have not been hurt by the Bush/republican near depression. Hahahahahahahahahahahah!!!!!!!!!!!!!!!!!!!! Sorry, just struck me as a funny post... Just trying to figure out what issues she's tackling? All I hear from her is criticism of the President. That does not qualify as "tackling an issue", Sarah. Just because she is taking these trips doesn't mean she will "absorb" the knowledge neededin the field of foreign policy and economics. SHE IS NOT PRESIDENTIAL MATERIAL, NO MATTER WHAT PARTY SHE WOULD RUN WITH. Sarah needs to go back to Alaska and be there for her little one. What a mom????????????????? Look out, rest of the world. Here comes another confused American tourist. Please know that she is not the typical American. She does not understand, appreciate, or tolerate other cultures and people. Most of us do!